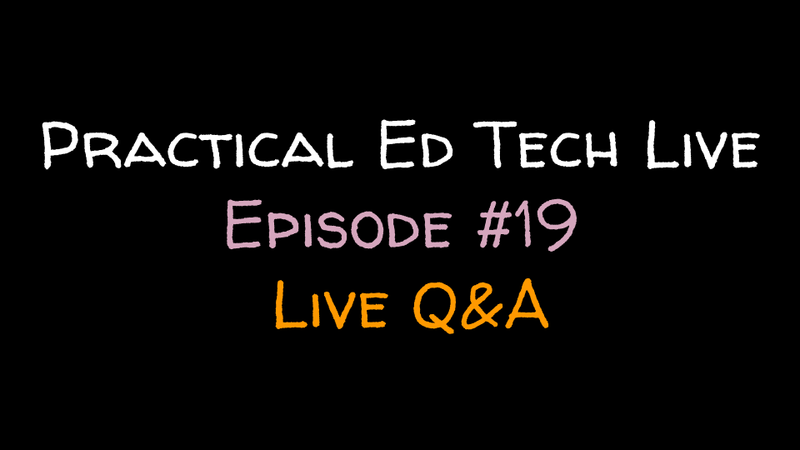 Tomorrow afternoon at 3pm EST I will be hosting episode 19 of Practical Ed Tech Live. During the broadcast I will answer the questions that were sent to me during the last week. I will also answer any questions that are submitted during the live broadcast. You can join the live broadcast on either the Practical Ed Tech Facebook page or on my YouTube channel. Make sure you subscribe to one or both to get the notification when I start the live broadcast. You can submit questions for Practical Ed Tech Live in advance by emailing them to me or by sending a message on Facebook.